With the holiday’s coming up, I was thinking about my favorite kinds of appetizers and finger foods I would like to make. 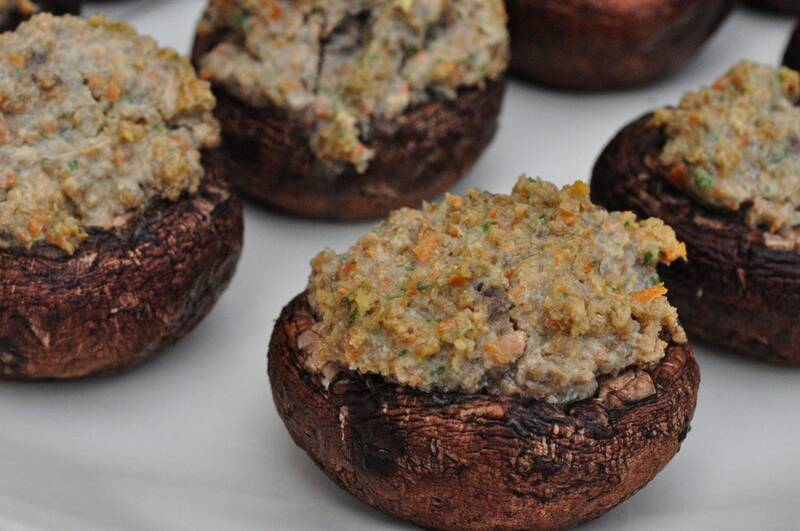 One of my absolute faves is stuffed mushrooms. I could easily pop like five of those suckers in without realizing. Since most recipes call for cream cheese or shredded cheese, I wanted to lighten mine up so it was okay to have more than a couple. These babies didn’t last long in my house. These are really easy to make and you can even do the filling the night before your party and them fill and bake the mushrooms right before your guests arrive. Remove the stems from mushrooms and set aside. Place the carrot, mushroom stems and garlic in the food processor to dice. In a skillet pan, saute the carrots, mushroom stems, garlic, onion, salt and grapeseed oil to soften. Once the mixture is cooled, put it back in the food processor with the tofu, parsley nutritonal yeast and bread crumbs and mix until combined. Place mushroom caps on a greased baking sheet and spoon mixture inside each one. Bake for 20 minutes or until you start to see moisture under the mushroom caps. Enjoy! Do you suppose the bread crumbs could be changed out for finely chopped nuts of some kind? Almonds, pistachios or cashews maybe? 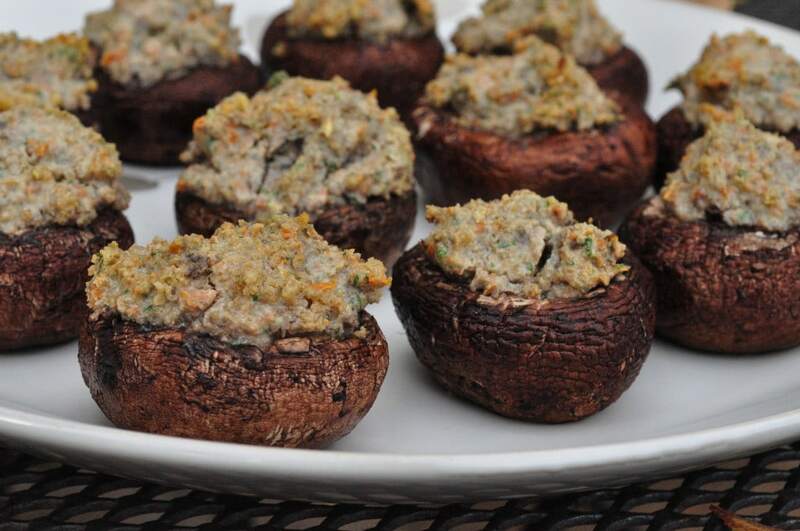 Can you freeze the stuffed mushrooms? I haven't tried, but maybe?